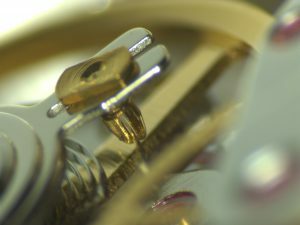 The American Watchmakers-Clockmakers Institute in conjunction with our industry partners has established a set of minimum standards which all watchmakers should meet. 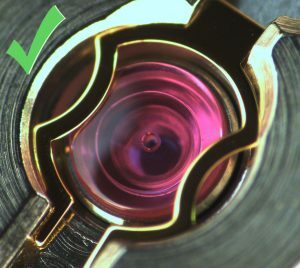 The document, Standards & Practices for Watchmakers, outlines these standards and the details of our certification exam. 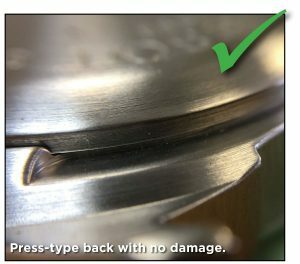 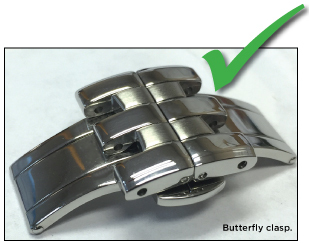 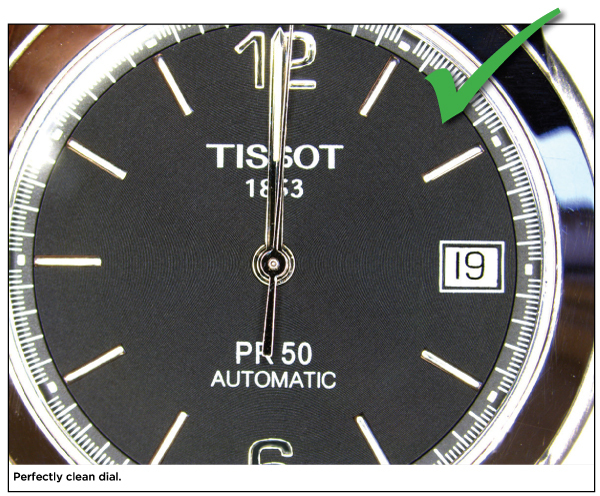 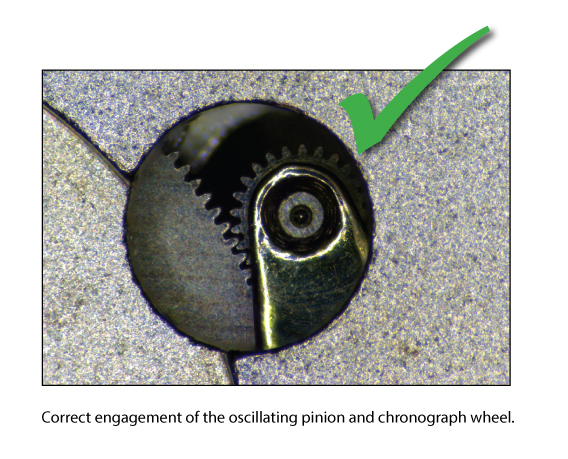 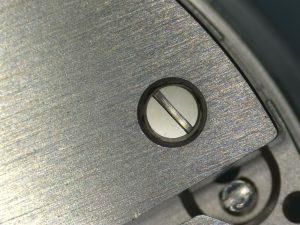 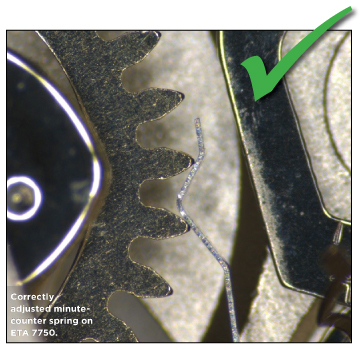 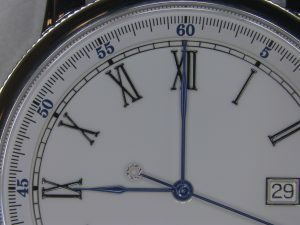 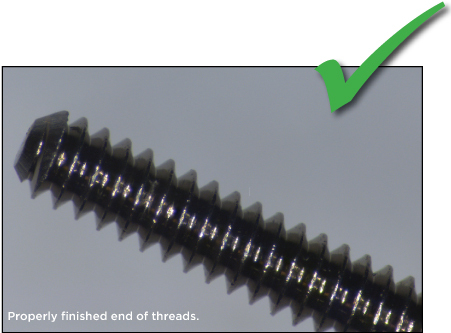 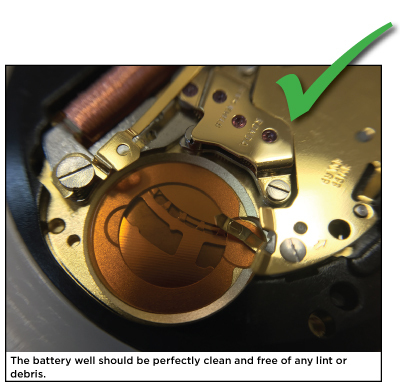 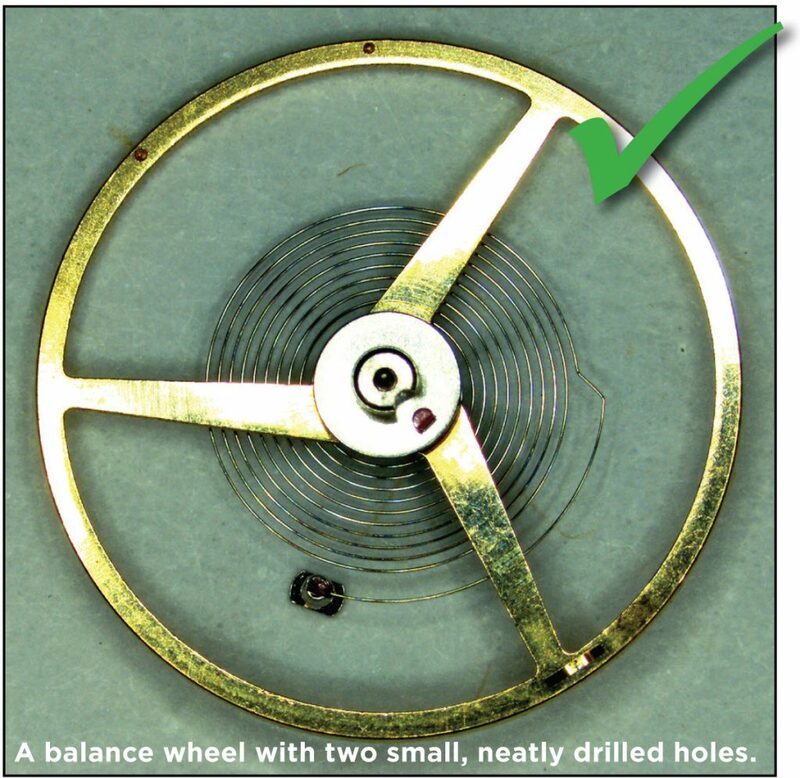 A Visual Reference of specific standards is below which can be used by watchmakers, employers, and consumers to judge the quality of workmanship. 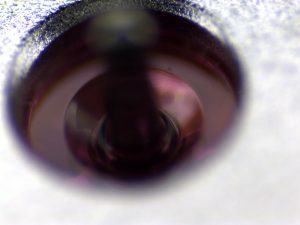 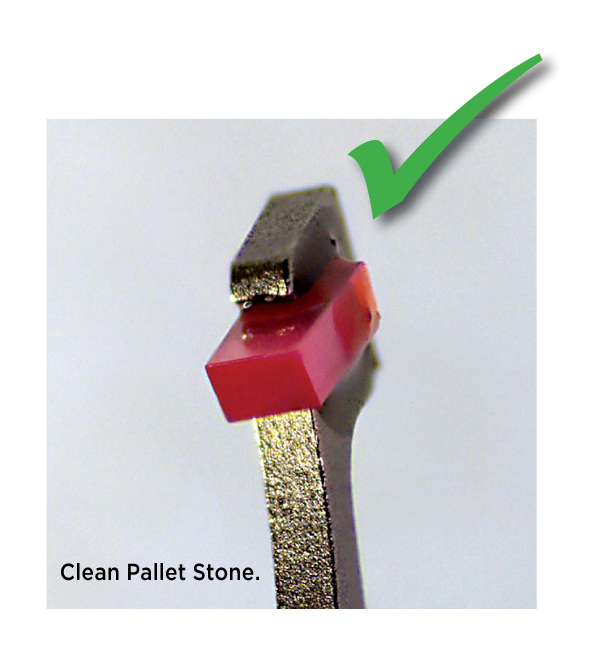 Proper shellac is essential to maintain the position of the pallet stones in the fork. 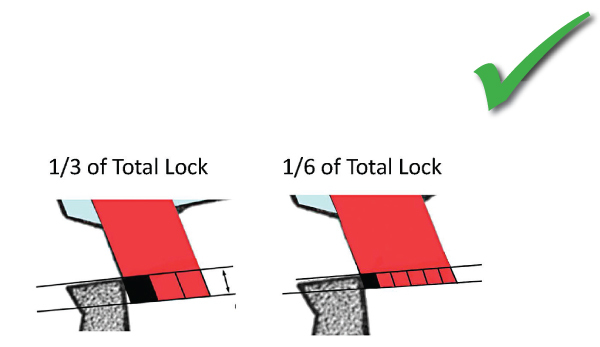 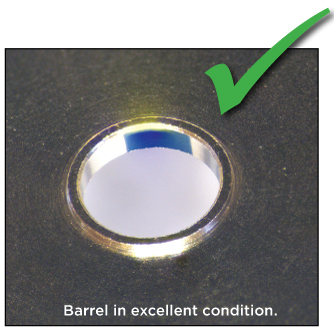 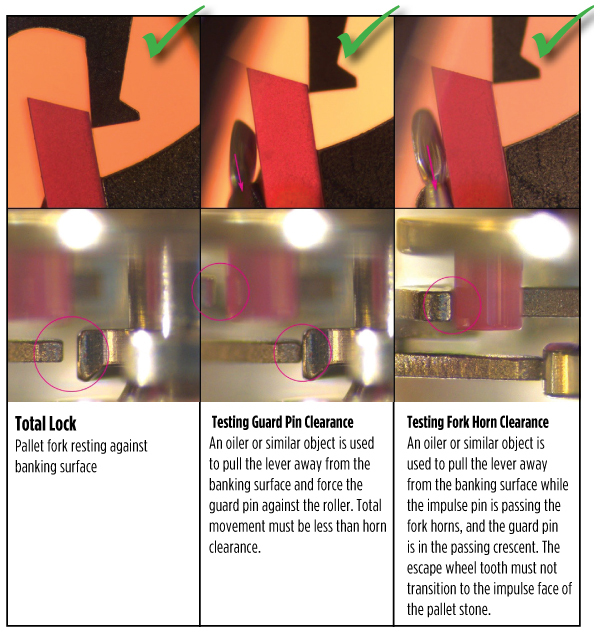 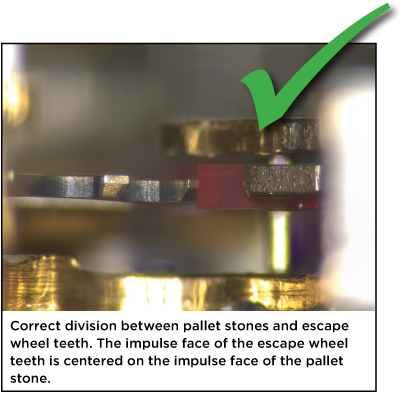 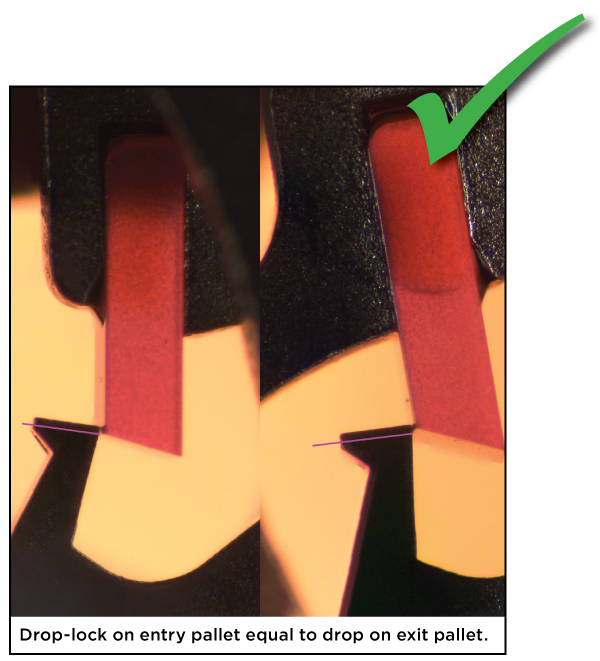 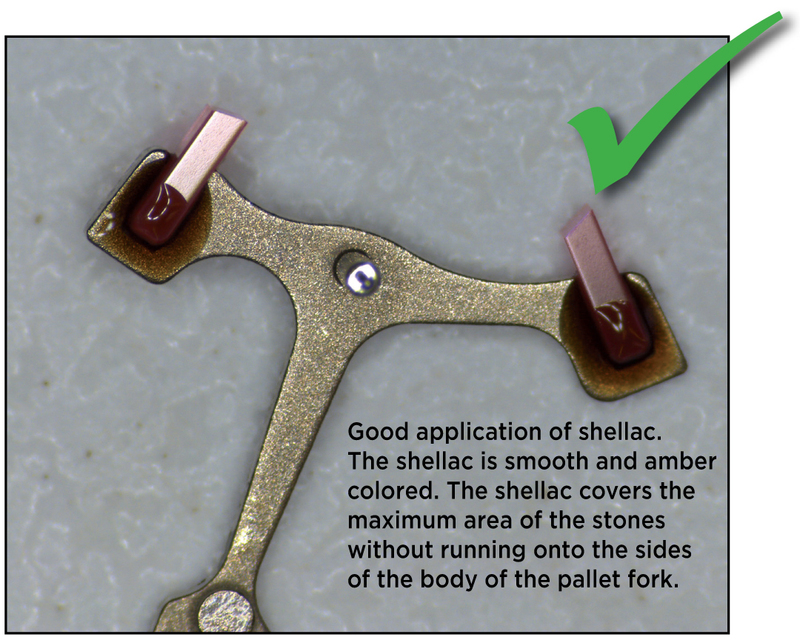 Poorly applied shellac can interfere with the operation of the pallet fork or fail prematurely.